ALLEGRA BOVERMAN/Staff photo. Gloucester Daily Times. 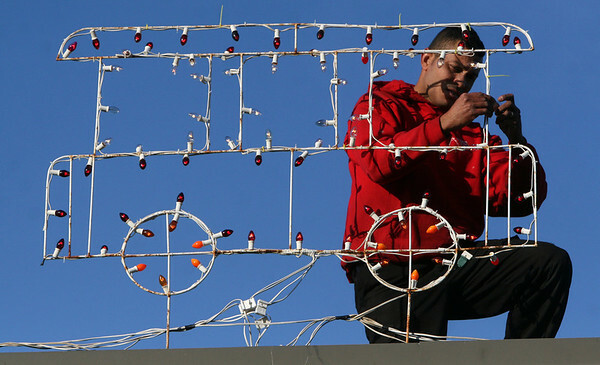 Gloucester: Joe Costa, of Precision Roofing Services, changes light bulbs on a holiday display on the roof of the Whittemore Street business on Friday afternoon.